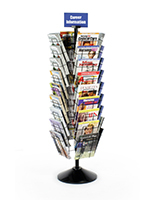 These magazine spinner stands have a rotating design that can turn a full 360°. 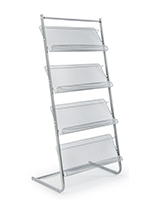 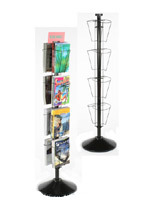 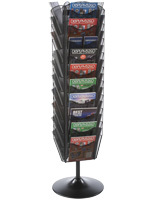 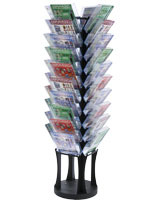 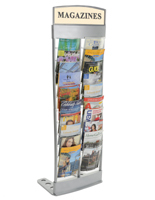 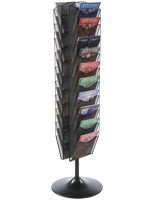 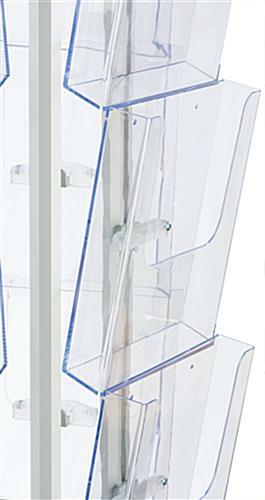 The brochure racks also feature (20) clear shelves that have an adjustable height. 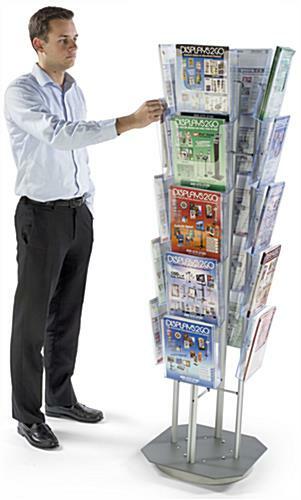 The spinner stands' full view pockets allow customers to easily see literature from a distance. 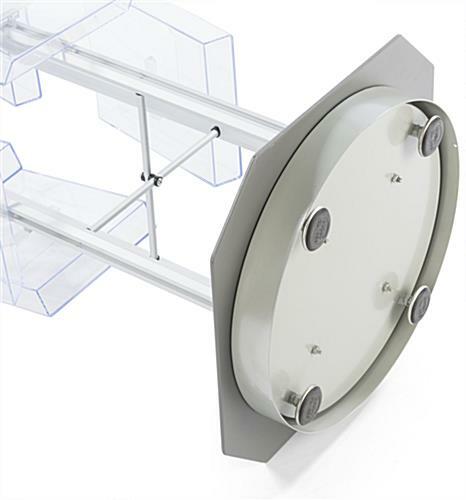 The rotating fixtures feature an aluminum frame with a silver finish that looks great in any environment. 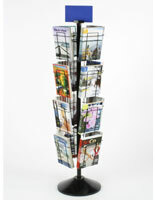 The stands with clear pockets can accommodate 8.5" x 11" literature with a half or full view to the cover. 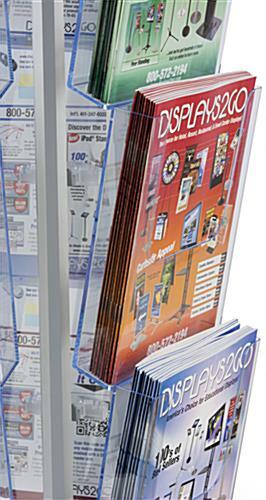 The brochure racks are ideal for retail stores because they save on floor space by displaying a large amount of merchandise in one place.